His Films, the Movies, and Moviemaking. Illustrated. 390 pp. Alfred A. Knopf. $30. 160 pp. Random House. $21.95. 342 pp. Random House. Paper, $15.95. Would it be churlish, though, to suggest that Allen is being a tad disingenuous? 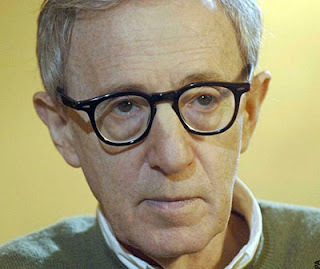 For if he really were indifferent to his legacy, then why would he sanction the publication of a hefty book called “Conversations With Woody Allen,” and why would he have sat for hours and hours of new interviews with Eric Lax, the man who wrote a quasi-authorized biography of him 16 years ago? This is a legacy-burnishing project, plain and simple. Allen is a big Orson Welles fan — he tells Lax he considers “Citizen Kane” the greatest American film ever made — and “Conversations With Woody Allen” is essentially the Woodman’s chance to do his version of “This Is Orson Welles,” a magnificent book (published in 1992) that collected years of talk between the orotund “Kane” auteur and his interlocutor-protégé, Peter Bogdanovich. Lax is well positioned to play the Bogdanovich role: he first met Allen in 1971, when he interviewed the then fledgling director for an abortive New York Times Magazine profile, and has since spent a significant chunk of his adulthood in Allen’s company, sometimes on set, sometimes in the intimacy of his subject’s screening room or apartment. Read the rest of this NYT piece.